As much as I love modern photography equipment in all its technological greatness, I still think it would be rather cool to carry about a camera with a bellows. This sucker would have run you between $12 and $19. That’s $129 if you account for inflation which isn’t a bad deal. 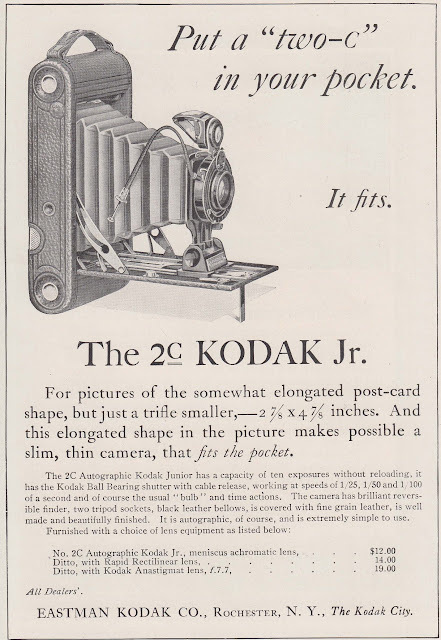 Yes, it’s hard to believe that there was a day, not so long ago, when we actually had to take pictures with film and have that film sent off to be developed. 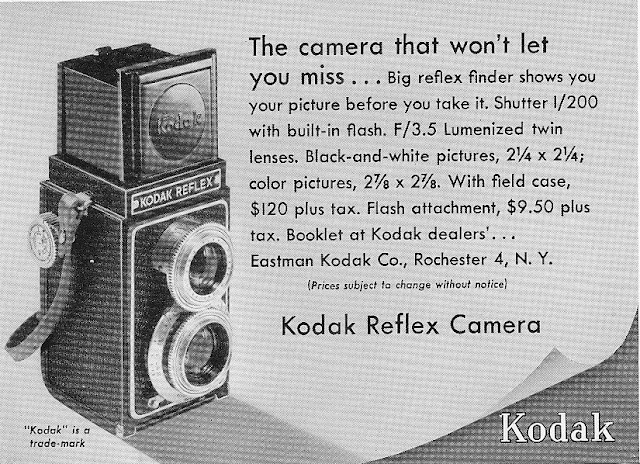 Back in these days a camera was very much just a box with a lens and a shutter. This little number boasts photos almost 3 inches wide on a side! And it’s a steal at $120! Oh, and as previously stated I have all the originals if anyone is interested.